Only 19 ships with 214,500 tons of cargo last year transited the Northern Sea Route. Russia is building new Arctic infrastructure and bases, and promotes the Arctic shipping route as an upcoming alternative to the Suez Canal. But there is still a long way to go before shipping companies start sending their cargo between Asia and Europe along Russia’s Arctic coast. In 2016, only 19 ships transited the route, data from the Northern Sea Route Administration show. The ships carried a total of 214,513 tons. That is more than in 2015, but far less than in 2012, when transit shipment amounted to 1,35 million tons. In 2015, goods volumes shipped transit along the route was only 40,000 tons. The figures presented by the Center for High North Logistics show that 11 of the ships sailed from west to east, and that seven of them carried a Russian flag. Twelve of the shipments were made without icebreaker assistance. Eight of the ships were general cargo carriers, two of which shipped coal from Vancouver, Canada, to Raahe in Finland. One of the carriers shipped oil products, and there were two refeers, one of which transported frozen fish from Kamchatka to St. Petersburg and the other frozen meat from Tromsø, Norway, to Osaka in Japan. 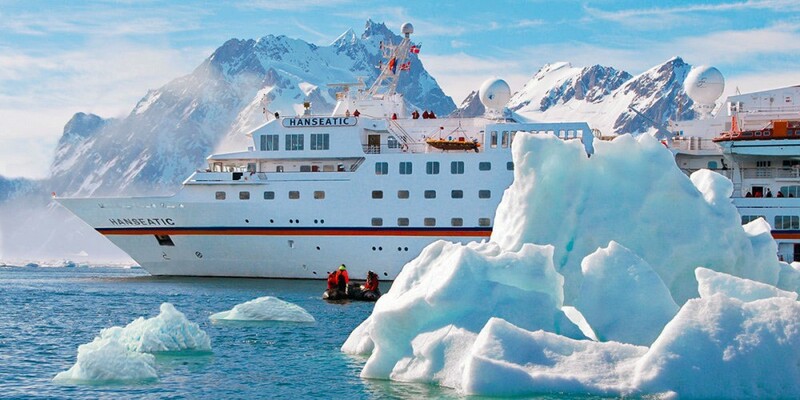 There was one passenger ship, the «Hanseatic», which in late August set out from Murmansk with course for Providenia on Russia’s easternmost Arctic coast. On board were 126 passengers and the voyage lasted 14 days. While trans-shipments between Europe and Asia remain limited, the Northern Sea Route in 2016 still saw a major hike. A total of 7,265 million tons of goods was shipped to and from ports along the route, an increase of 35 percent from 2015. While about 3,1 million tons were delivered to regional ports, about 4,15 million tons were shipped out from the area, data from the Northern Sea Route Administration show. Oil products accounted to 3,47 million tons, while coal was 219 thousand tons and gas condensate - 219 thousand tons. Dry cargo amounted to 3,4 million tons, Portnews reports. The Northern Sea Route includes the waters between Novaya Zemlya and the Bering Strait. It is managed by the Northern Sea Route Administration in Moscow.